My middle child is entering 7th grade, and we are already setting things in place for the school year. This Lightning Literature program by Hewitt Homeschooling is one more that will be added to our plans. For the review period, we actually jumped into the very last unit of the book, so it should be easier when we start fresh at the beginning of the program in August. For this review, we received three large paperback books: the $20.00 teacher’s guide, the $20.00 student guide, and $20.00 student workbook. The teacher book is roughly half the size of the Student's Guide, and the Workbook is just a bit larger than the Student Guide. The set is available for purchase with all of the books for $91.73 or as we received it without the actual books used in the study. 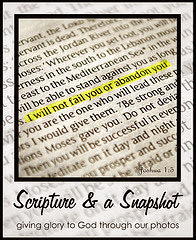 We have several of the books used in this course and were able to find some of the others online and at our library. To begin this review, we picked All Creatures Great and Small by James Heriot which was covered in unit 8, actually the last unit of the full year course. Before starting, when my daughter first read through the vocabulary- "Some of the words are interesting that I have never seen before. I think I’ll enjoy reading the books and answering the questions." In the student guide for Unit 8, the first part of the lesson is an introduction/biography of the author followed by questions to make the reader think about what they have read and a vocabulary list for words from each chapter that may be unfamiliar to the student. Definitions are provided that fit the way the words were used in the story. We decided to read that particular story out loud together as a family (though I did skip over some of the more graphic parts of the calf delivery at the beginning and various character’s language in other places.) Though designed as a middle school study, some of the discussion questions were appropriate for our entire family. When Emily read over the vocabulary words and was able to recall hearing some as we read. She shared that some were new to her and did make more sense with the definition available. There are eight pages of vocabulary words in that section. The vocabulary word and definition lists are aids though not designed to be a complete vocabulary curriculum. Next is a twelve page series of comprehension questions organized by chapter. These led to discussions. Most discussion was just me and Emily, but some questions were discussed with the whole family. Though they were fairly easy, they showed me quickly that she grasped what I had read out loud. Other questions she did not recall the answer to. Granted, I read more than 6 chapters before we began the first discussion. (We didn't follow the recommended schedule during our review trial.) For those she didn’t recall, I re-read excerpts and guided her to read specific passages. The next section, the literary lesson, focused on the character sketch with this story. It explained how the author’s description of each person can give a clear, enjoyable picture of a character in a short space. The literary lessons in other units also covered plot and rhyme. 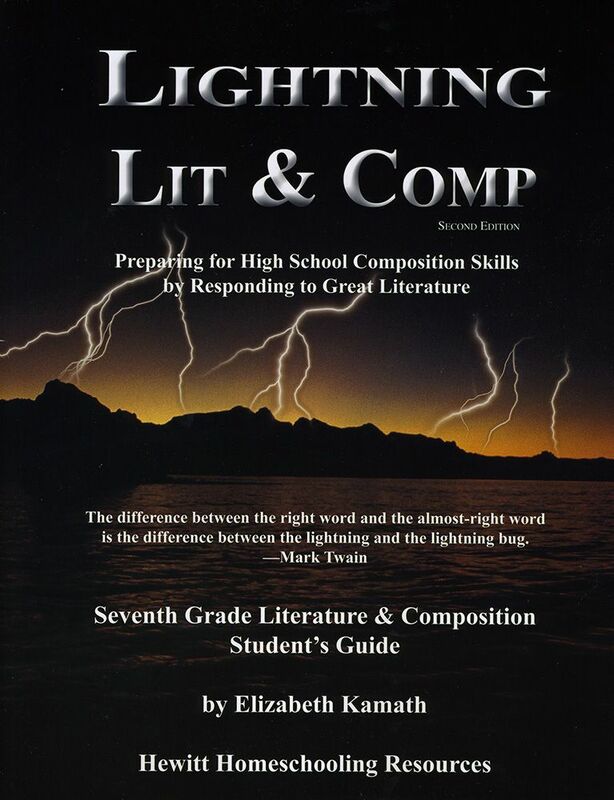 The teacher's guide describes this section as "the heart and soul of the Lightning Literature series along with the writing exercises." Each unit also has a mini lesson and writing exercises. Emily enjoys writing, and I enjoyed how the brief assignments encouraged her to approach her writing with different perspectives. In one of the exercises she was guided to write a character sketch of someone that she knew, changing the name as Herriot did and then use at least three of the techniques discussed in the lesson. In the separate student workbook, unit 8 also focused on character development. Activities guided the student to add elements to their own characters following the examples shared of Herriot’s book. Em shared “I like how they take fun things like crosswords and word searches to help me learn more about the vocabulary words in the book.” Logic is even addressed in one exercise requiring the student to determine if statements shared are facts or opinions. Fun crossword puzzles and word searches are also included with each unit. The Teacher's manual gives a recommended schedule as well as answers for each of the activities. I enjoy reading for fun. I don’t like dissecting books so much that the enjoyment factor is taken away from reading. This program didn't do that. This method of teaching, instead of analyzing each component of a story, has the student follow the author’s example for a specific element of writing. This is an engaging method of using strong writers as examples while learning. We received the aforementioned product for the purpose of this review. All opinions are my own. See what other crew members shared in their reviews here. Other reviews include additional courses offered Hewitt Homeschooling. I found a copy of "All Creatures Great and Small" (as well as the following two books in the series) at the used book store just last week. They were only 30 cents for all three and I just couldn't leave them there. I loved that series -- I think I read it in late middle or early high school? In passing, I picked it up today and read the first page, just to see if it was as I remembered... and six chapters in, I'm hooked. Again. I hope you all enjoy it too! I, of course, will have to scour the bookstore again soon for the remaining two volumes to complete my set. This sounds great. I love James Herriot books. Jennifer, we are still enjoying this book. The kids don't want me to read ahead as we are reading it out loud, so it is taking a while. I didn't know there were more in the series; I'll have to look for them now, too. Sorry I did not post comments earlier. I usually post comments first, and I must have been crazy that day. I've been reading the LIghtning LIt reviews. sounds interesting. Wow! It looks like a solid, interesting literature curriculum for older students. Alyssa is a lot younger and obviously can't use this program. But. I can't wait to try their Lightening Literature program for first grade for FREE (on their website) this year. There are some major differences due to age and grade levels. I am willing to at least try anything to challenge my daughter. I am hoping for a good experience. Thank you for posting this review.